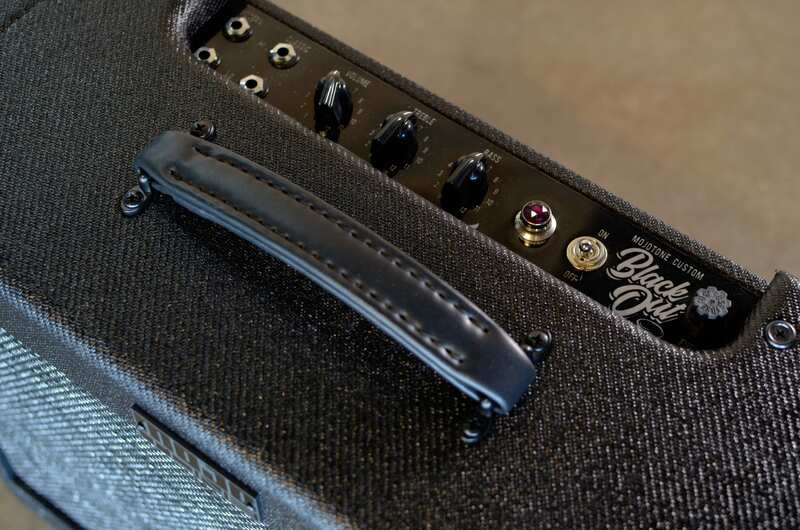 The new Mojotone BlackOut Select is a combo amplifier inspired by classic Fender Tweed amps that will be available in limited numbers via reverb.com. First of all, check out the super-sleek look on this amp, with its blacked out, almost stealth-like finish. 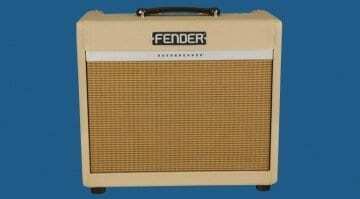 This amp is based on Fender’s 5E3 circuit of the ’50s, but with a few modern tweaks in the mix. 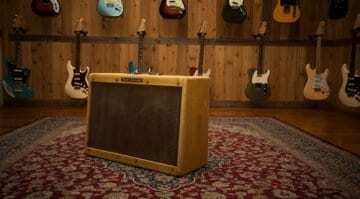 The design pholosophy here is all about delivering “Tweed Deluxe” tones. The BlackOut Select has a Class A/B cathode biased circuit, so expect some classic American amp sounds from this hand-wired combo. Each one is built by hand in Burgaw, NC using Mojo Dijon capacitors, a Heyboer power transformer, carbon composite resistors and Alpha potentiometers throughout. All top quality components here, so no corners cut. The valves are a pair of 6V6 in the output section, coupled with 12AX7 and12AY7 in the amp’s preamp. Plus, of course, that 5Y3 rectifier. This combo is rated at a very healthy 15 Watts. That should give plenty of usable headroom before it breaks up – just the way you (probably) like it. The cabinet is a finger jointed and uses ¼” solid pine in a 1×12 cabinet. 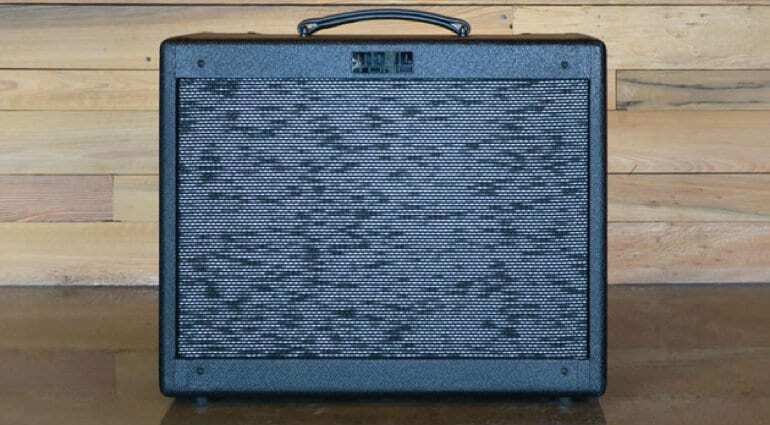 It comes in a ‘BlackOut Tweed’ finish, which gives it a distinctive look. Each is loaded with a Mojotone British Series BV30 speaker. On the original 5E3 Tweed circuit, the volume controls for both the Bright and Normal channels are very interactive with a tendency to bleed over into one another. 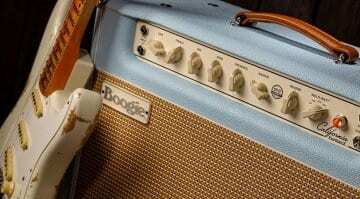 You only had a single shared tone knob serving both channels. The input section of the BlackOut consists of Bright and Normal channels from the original Tweed circuit, but has had some minor tweaks. Mojotone has labelled these Modern and Classic inputs. The Classic input is a 12AY7 circuit feeding into a Blackface-style EQ, with Treble and Bass controls. 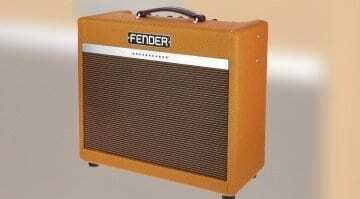 It retains the 5E3 sound but gives you more control over the basic tone. The Modern input is more of a British 800 input circuit using the other side of that 12AY7. This is then fed into the normal channel, to achieve more gain and output, as you have more available headroom in the 6V6 output section. I think that this looks pretty sick – in a good way. I’m sure some of the more conservative players out there will be put off, but I think it looks great.